As I walked into her house, I heard a strange radio show playing, a quiz show called “Beat the Reaper”… it sounded so real, and yet the premise was entirely bizarre: The contestant was injected with some deadly disease, and if he or she guessed the disease in time, they’d be given the antidote. After a while it became apparent I was listening to some dark parody, kind of Bob & Ray meet the Twilight Zone. I soon discovered I was listening to the Firesign Theatre, and from that moment on I was hooked. Don’t Crush That Dwarf, Hand Me the Pliers… All Hail Marx and Lennon… I Think We’re All Bozos on This Bus… Everything You Know Is Wrong… and more. Rolling Stone magazine called the Firesign Theatre “the Beatles of Comedy”… the “M.C. Escher of Comedy” would fit just as well. 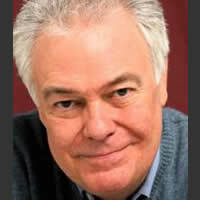 That’s why I am thrilled that this week’s guest on Wiki Politiki is Phil Proctor, one of the founders of Firesign Theatre, as well as a prolific and sought after voice talent (name any Disney animation, he’s in it!). Yes, he’s funny. And he’s more than a wise guy. He’s a wiser guy. He’ll share some of his wisdom on the uses of comedy to “go sane” in crazy times, and include some of his own stories of “guerilla comedy” during the Vietnam War years, and a mind-blowing story of someone you would least expect to be a Firesign Theatre fan. Phil Proctor also publishes Planet Proctor, his monthly comedy digital zine and continues to write and perform comedy in LA and around the world. Tune in … you’ll laugh while you learn, and learn while you laugh!